"Li-Po" and "LiPo" redirect here. For other uses, see Li Po (disambiguation). A lithium polymer battery, or more correctly lithium-ion polymer battery (abbreviated as LiPo, LIP, Li-poly, lithium-poly and others), is a rechargeable battery of lithium-ion technology using a polymer electrolyte instead of a liquid electrolyte. High conductivity semisolid (gel) polymers form this electrolyte. These batteries provide higher specific energy than other lithium battery types and are used in applications where weight is a critical feature, like mobile devices and radio-controlled aircraft. LiPo cells follow the history of lithium-ion and lithium-metal cells which underwent extensive research during the 1980s, reaching a significant milestone with Sony's first commercial cylindrical Li-ion cell in 1991. After that, other packaging forms evolved, including the pouch format now also called "LiPo". Lithium polymer cells have evolved from lithium-ion and lithium-metal batteries. The primary difference is that instead of using a liquid lithium-salt electrolyte (such as LiPF6) held in an organic solvent (such as EC/DMC/DEC), the battery uses a solid polymer electrolyte (SPE) such as poly(ethylene oxide) (PEO), poly(acrylonitrile) (PAN), poly(methyl methacrylate) (PMMA) or poly(vinylidene fluoride) (PVdF). The solid electrolyte can typically be classified as one of three types: dry SPE, gelled SPE and porous SPE. The dry SPE was the first used in prototype batteries, around 1978 by Michel Armand, and 1985 by ANVAR and Elf Aquitaine of France, and Hydro Quebec of Canada. From 1990 several organisations like Mead and Valence in the United States and GS Yuasa in Japan developed batteries using gelled SPEs. In 1996, Bellcore in the United States announced a rechargeable lithium polymer cell using porous SPE. A typical cell has four main components: positive electrode, negative electrode, separator and electrolyte. The separator itself may be a polymer, such as a microporous film of polyethylene (PE) or polypropylene (PP); thus, even when the cell has a liquid electrolyte, it will still contain a "polymer" component. In addition to this, the positive electrode can be further divided into three parts: the lithium-transition-metal-oxide (such as LiCoO2 or LiMn2O4), a conductive additive, and a polymer binder of poly(vinylidene fluoride) (PVdF). The negative electrode material may have the same three parts, only with carbon replacing the lithium-metal-oxide. Just as with other lithium-ion cells, LiPos work on the principle of intercalation and de-intercalation of lithium ions from a positive electrode material and a negative electrode material, with the liquid electrolyte providing a conductive medium. To prevent the electrodes from touching each other directly, a microporous separator is in between which allows only the ions and not the electrode particles to migrate from one side to the other. The voltage of a LiPo cell depends on its chemistry and varies from about 2.7–3.0 V (discharged) to about 4.2 V (fully charged), for cells based on lithium-metal-oxides (such as LiCoO2), and around 1.8–2.0 V (discharged) to 3.6–3.8 V (charged) for those based on lithium-iron-phosphate (LiFePO4). The exact voltage ratings should be specified in product data sheets, with the understanding that the cells should be protected by an electronic circuit that won't allow them to overcharge nor over-discharge under use. For LiPo battery packs with cells connected in series, a specialised charger may monitor the charge on a per-cell basis so that all cells are brought to the same state of charge (SOC). Unlike lithium-ion cylindrical and prismatic cells, which have a rigid metal case, LiPo cells have a flexible, foil-type (polymer laminate) case, so they are relatively unconstrained. By themselves the cells are over 20% lighter than equivalent cylindrical cells of the same capacity. LiPo cells provide manufacturers with compelling advantages. They can easily produce batteries of almost any desired shape. For example, the space and weight requirements of mobile devices and notebook computers can be completely satisfied. Also, they have low-self discharge rate, which is about 5% per month. LiPo batteries are now almost ubiquitous when used to power radio-controlled aircraft, radio-controlled cars and large scale model trains, where the advantages of lower weight and increased capacity and power delivery justify the price. Test reports warn of the risk of fire when the batteries are not used in accordance with the instructions. As of mid 2016, LiPo packs of 1.3 Ah exist, providing 95C continuous discharge, and short-time 190C bursts. In March 2017, LiPo packs were available in various configurations, most commonly up to 6400mAh, achieving a maximum 4.2V/cell, for powering certain R/C vehicles and helicopters or drones. Some test reports warn of the risk of fire when the batteries are not used in accordance with the instructions. LiPo packs also see widespread use in airsoft, where their higher discharge currents and better energy density compared to more traditional NiMH batteries has very noticeable performance gain (higher rate of fire). The high discharge currents do damage the switch contacts due to arcing (causing the contacts to oxidize and often deposit carbon), so it is advised to either use a solid-state MOSFET switch or clean the trigger contacts regularly. LiPo batteries are pervasive in mobile devices, power banks, very thin laptop computers, portable media players, wireless controllers for video game consoles, wireless PC peripherals, electronic cigarettes, and other applications where small form factors are sought and the high energy density outweighs cost considerations. Lithium-ion cells in pouch format are being investigated to power battery electric vehicles. While it is possible to use a large number of cells of small capacity to obtain required levels of power and energy to drive a vehicle, some manufacturers and research centres are looking into large-format lithium-ion cells of capacities exceeding 50 Ah for this purpose. With higher energy content per cell, the number of cells and electrical connections in a battery pack would certainly decrease but the danger associated with individual cells of such high capacity might be greater. Hyundai Motor Company uses this type of battery in some of their hybrid vehicles, as well as Kia Motors in their battery electric Kia Soul. The Bolloré Bluecar, which is used in car sharing schemes in several cities, also uses this type of battery. Apple iPhone 3GS's Lithium-ion battery, which has expanded due to a short circuit failure. LiPo cells are affected by the same problems as other lithium-ion cells. This means that overcharge, over-discharge, over-temperature, short circuit, crush and nail penetration may all result in a catastrophic failure, including the pouch rupturing, the electrolyte leaking, and fire. All Li-ion cells expand at high levels of state of charge (SOC) or over-charge, due to slight vaporisation of the electrolyte. This may result in delamination, and thus bad contact of the internal layers of the cell, which in turn brings diminished reliability and overall cycle life of the cell. This is very noticeable for LiPos, which can visibly inflate due to lack of a hard case to contain their expansion. Cells with solid polymer electrolytes have not reached full commercialization and are still a topic of research. Prototype cells of this type could be considered to be between a traditional lithium-ion battery (with liquid electrolyte) and a completely plastic, solid-state lithium-ion battery. The simplest approach is to use a polymer matrix, such as polyvinylidene fluoride (PVdF) or poly(acrylonitrile) (PAN), gelled with conventional salts and solvents, such as LiPF6 in EC/DMC/DEC. Nishi mentions that Sony started research on lithium-ion cells with gelled polymer electrolytes (GPE) in 1988, before the commercialisation of the liquid-electrolyte lithium-ion cell in 1991. At that time polymer batteries were promising and it seemed polymer electrolytes would become indispensable. Eventually, this type of cell went into the market in 1998. However, Scrosati argues that, in the strictest sense, gelled membranes cannot be classified as "true" polymer electrolytes, but rather as hybrid systems where the liquid phases are contained within the polymer matrix. Although these polymer electrolytes may be dry to the touch, they can still contain 30% to 50% liquid solvent. In this regard, how to really define what a "polymer battery" is remains an open question. Other terms used in the literature for this system include hybrid polymer electrolyte (HPE), where "hybrid" denotes the combination of the polymer matrix, the liquid solvent and the salt. It was a system like this that Bellcore used to develop an early lithium-polymer cell in 1996, which was called "plastic" lithium-ion cell (PLiON), and subsequently commercialised in 1999. A solid polymer electrolyte (SPE) is a solvent-free salt solution in a polymer medium. It may be, for example, a compound of lithium bis(fluorosulfonyl)imide (LiFSI) and high molecular weight poly(ethylene oxide) (PEO), or a high molecular weight poly(trimethylene carbonate) (PTMC). 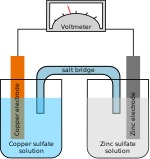 The performance of these proposed electrolytes is usually measured in a half-cell configuration against an electrode of metallic lithium, making the system a "lithium-metal" cell, but it has also been tested with a common lithium-ion cathode material such as lithium-iron-phosphate (LiFePO4). Other attempts to design a polymer electrolyte cell include the use of inorganic ionic liquids such as 1-butyl-3-methylimidazolium tetrafluoroborate ([BMIM]BF4) as a plasticizer in a microporous polymer matrix like poly(vinylidene fluoride-co-hexafluoropropylene)/poly(methyl methacrylate) (PVDF-HFP/PMMA). New Li-ion battery cell technology has introduced a silicon–graphene additive that helps to preserve the positive terminal during discharging, thus increasing the cell longevity and cycle-life. An inherent side-effect when operating a 3.7V Li-ion cell above 4.2V is decreased cycle-life, with increased internal resistance. Studies have shown that the poor capacity-retention and decreased lifespan of a Li-ion cell exponentially increases when charged above 4.2V, specifically due to corrosion of the positive terminal. The silicon-graphene additive helps reduce corrosion of the positive terminal when charged up to voltages of 4.35V or more. ^ M. B. Armand; J. M. Chabagno; M. Duclot (20–22 September 1978). "Extended Abstracts". Second International Meeting on Solid Electrolytes. St. Andrews, Scotland. ^ M. B. Armand, J. M. Chabagno & M. Duclot (1979). "Poly-ethers as solid electrolytes". In P. Vashitshta; J.N. Mundy & G.K. Shenoy (eds.). Fast ion Transport in Solids. Electrodes and Electrolytes. North Holland Publishers, Amsterdam. ^ a b c Murata, Kazuo; Izuchi, Shuichi; Yoshihisa, Youetsu (3 January 2000). "An overview of the research and development of solid polymer electrolyte batteries". Electrochimica Acta. 45 (8–9): 1501–1508. doi:10.1016/S0013-4686(99)00365-5. ^ a b Yazami, Rachid (2009). "Chapter 5: Thermodynamics of Electrode Materials for Lithium-Ion Batteries". In Ozawa, Kazunori (ed.). Lithium ion rechargeable batteries. Wiley-Vch Verlag GmbH & Co. KGaA. ISBN 978-3-527-31983-1. ^ a b Nagai, Aisaku (2009). "Chapter 6: Applications of Polyvinylidene Fluoride-Related Materials for Lithium-Ion Batteries". In Yoshio, Masaki; Brodd, Ralph J.; Kozawa, Akiya (eds.). Lithium-ion batteries. Springer. doi:10.1007/978-0-387-34445-4. ISBN 978-0-387-34444-7. ^ "Harding Energy | Lithium Ion batteries | Lithium Polymer | Lithium Iron Phosphate". Harding Energy. Retrieved 6 April 2016. ^ a b Vetter, J.; Novák, P.; Wagner, M.R. ; Veit, C. (9 September 2005). "Ageing mechanisms in lithium-ion batteries". Journal of Power Sources. 147 (1–2): 269–281. Bibcode:2005JPS...147..269V. doi:10.1016/j.jpowsour.2005.01.006. ^ Cannarella, John; Arnold, Craig B. (1 January 2014). "Stress evolution and capacity fade in constrained lithium-ion pouch cells". Journal of Power Sources. 245: 745–751. Bibcode:2014JPS...245..745C. doi:10.1016/j.jpowsour.2013.06.165. ^ "Lithium Polymer Battery Technology" (PDF). Retrieved 14 March 2016. ^ a b Dunn, Terry (5 March 2015). "Battery Guide: The Basics of Lithium-Polymer Batteries". Tested. Whalerock Industries. Retrieved 15 March 2017. I’ve not yet heard of a LiPo that burst into flames during storage. All of the fire incidents that I’m aware of occurred during charge or discharge of the battery. Of those cases, the majority of problems happened during charge. Of those cases, the fault usually rested with either the charger or the person who was operating the charger…but not always. ^ "Tattu R-Line 4S 1300mah 95~190C Lipo Pack". Genstattu.com. Retrieved 6 September 2016. ^ Brown, Warren (3 November 2011). "2011 Hyundai Sonata Hybrid: Hi, tech. Bye, performance". Washington Post. Retrieved 25 November 2011. ^ "Alisport web site". Archived from the original on 17 February 2015. Retrieved 6 December 2014. ^ "Schempp-Hirth web site". Retrieved 6 December 2014. ^ "Custom Lithium Battery". lithiumbatterychina. 17 April 2018. ^ a b Scrosati, Bruno (2002). "Chapter 8: Lithium polymer electrolytes". In van Schalkwijk, Walter A.; Scrosati, Bruno (eds.). Advances in Lithium-ion batteries. Kluwer Academic Publishers. ISBN 0-306-47356-9. ^ a b Yoshio, Masaki; Brodd, Ralph J.; Kozawa, Akiya, eds. (2009). Lithium-ion batteries. Springer. doi:10.1007/978-0-387-34445-4. ISBN 978-0-387-34444-7. ^ Nishi, Yoshio (2002). "Chapter 7: Lithium-Ion Secondary batteries with gelled polymer electrolytes". In van Schalkwijk, Walter A.; Scrosati, Bruno (eds.). Advances in Lithium-ion batteries. Kluwer Academic Publishers. ISBN 0-306-47356-9. ^ Brodd, Ralf J. (2002). "Chapter 9: Lithium-Ion cell production processes". In van Schalkwijk, Walter A.; Scrosati, Bruno (eds.). Advances in Lithium-ion batteries. Kluwer Academic Publishers. ISBN 0-306-47356-9. ^ a b Tarascon, Jean-Marie; Armand, Michele (2001). "Issues and challenges facing rechargeable lithium batteries". Nature. 414: 359–367. Bibcode:2001Natur.414..359T. doi:10.1038/35104644. PMID 11713543. ^ Tarascon, J.-M.; Gozdz, A. S.; Schmutz, C.; Shokoohi, F.; Warren, P. C. (July 1996). "Performance of Bellcore's plastic rechargeable Li-ion batteries". Solid State Ionics. Elsevier. 86-88 (Part 1): 49–54. doi:10.1016/0167-2738(96)00330-X. ^ Zhang, Heng; Liu, Chengyong; Zheng, Liping (1 July 2014). "Lithium bis(fluorosulfonyl)imide/poly(ethylene oxide) polymer electrolyte". Electrochimica Acta. 133: 529–538. doi:10.1016/j.electacta.2014.04.099. ^ Sun, Bing; Mindemark, Jonas; Edström, Kristina; Brandell, Daniel (1 September 2014). "Polycarbonate-based solid polymer electrolytes for Li-ion batteries". Solid State Ionics. 262: 738–742. doi:10.1016/j.ssi.2013.08.014. ^ Zhai, Wei; Zhu, Hua-jun; Wang, Long (1 July 2014). "Study of PVDF-HFP/PMMA blended micro-porous gel polymer electrolyte incorporating ionic liquid [BMIM]BF4 for Lithium ion batteries". Electrochimica Acta. 133: 623–630. doi:10.1016/j.electacta.2014.04.076. ^ "Si-Graphene Infused High-Voltage Cycle Life and Review Testing". RcGroups. HyperionRocks. Retrieved 13 March 2017. Wikimedia Commons has media related to Lithium-polymer batteries.